Before it was made into a flood defence and public open space, Longrun was farmland. But what about before that? During the excavations for the attenuation tanks, archaeologists found evidence of human activity on the site during the Neolithic period, Bronze age, Iron age, Roman and Post-Medieval periods. 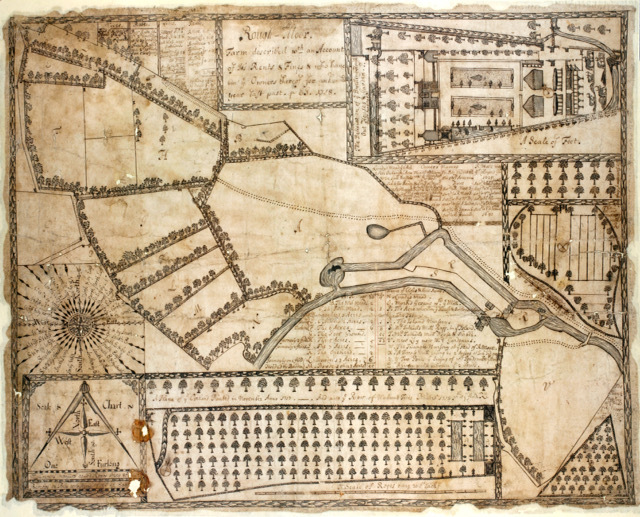 This 1718 map shows what is thought to be Mrs Tuthill’s mill which might have been a grain mill at this point. It is said that the mill was a fulling mill before this. Fulling is one step in the process of making woollen cloth and the surnames Fuller, Walker and Tucker all have their origins in this industry. Though the mill and the diverted water course were still recorded there in 1822, records show it was completely gone by 1840. 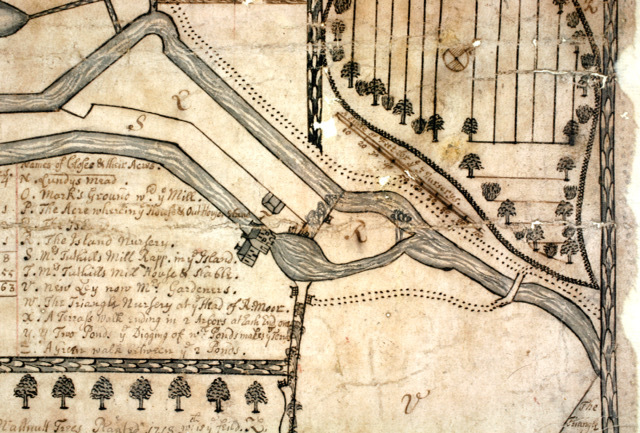 The detail of the map below shows the location of the diverted water course and an impression of the mill building. The remains of the mill pond can still be found to the West of the Willow Cathedral and South of the river. It is interesting to note that the map also shows a bridge in a very similar position to the bridge that currently leads from the Willow Cathedral to the North side of the river. With thanks to Mary Siraut, Editor, Victoria County History of Somerset. For more information about the history of the local area, visit the Somerset Historic Environment Record.